From the bag and shoes they choose, to the amount of television they watch, young people are constantly putting strain on their posture. 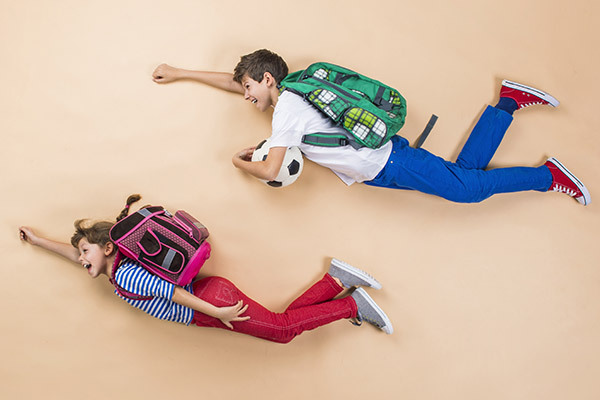 With the new school term about to start, the British Chiropractic Association (BCA) highlights the importance of choosing the right shoes and bag for children as they go back to school. – if your child has to carry a bag to school, make sure you offer advice as to the type of bag they choose. A rucksack is the best option as long as it is carried over both shoulders and the straps are adjusted so that the bag is held close to the back and weight is evenly distributed. – make sure your child is not carrying any unnecessary excess weight; check that all the items in their bags are essential. – make sure your child has good footwear; soft-soled shoes that are supportive and have a good grip will make it easier for them to carry a heavy school bag. – lack of exercise is your child’s worst enemy. Encourage your child to take regular exercise as the fitter your child is the less likely they are to injure themselves. – staying still for a long time is bad for your spine. Limit your child to small sittings of no more than 30-40 minutes on the computer or watching TV, before they get up and do something else for a while. – when using a PC or a computer console, make sure they are set up so they are sitting comfortably and their spine is supported. They may not realise that the position they are sitting in is painful because they are being distracted by the games! The exercise routine is available to view here, where you can also find links to lots of useful information and advice videos on many aspects of posture and back pain prevention.